Polk State students Wesley Wise (L) and Luke Ferguson display their catches after the first day of fishing at Lake Chickamauga on Oct. 18. 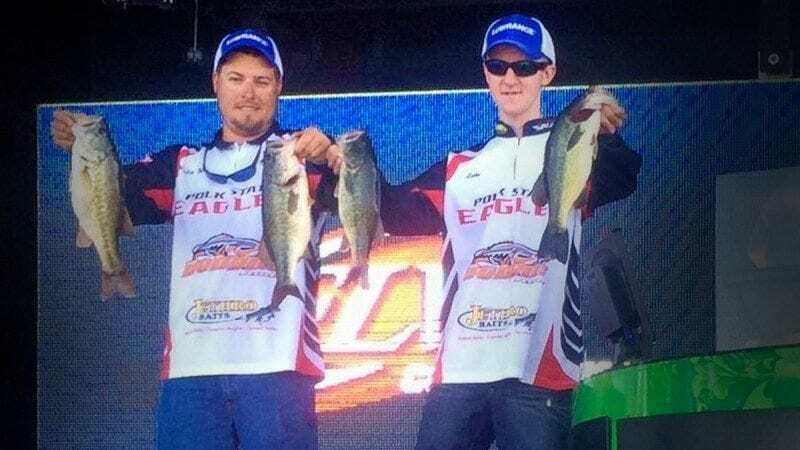 Polk State College Bass Fishing Club members Wesley Wise (Lake Wales) and Luke Ferguson (Lakeland) have qualified for the 2015 Fishing League Worldwide (FLW) College Fishing National Championship. The pair earned the honor after they placed eighth out of 44 boats in the FLW College Fishing Southeastern Conference Invitational on Lake Chickamauga in Hixson, Tenn., Oct. 18-19. Ferguson and Wise finished the first day in fifth place and moved to the eighth spot after day two. FLW College Fishing is free to enter. All participants must be registered, full-time undergraduate students at a four-year college or university and members of a fishing club recognized by their college or university. 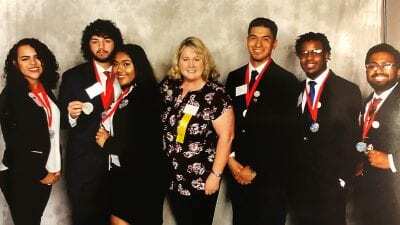 The Polk State team enters seven collegiate competitions a year, plus club events in the summer. The team meets twice a month, and members must be full-time students. For more information, email pscbassclub@gmail.com.